Teeth that are crooked, overlapping, twisted or widely spaced are extremely common. In addition to looking less attractive than we would like, poorly aligned teeth can also be a contributing factor in the development of dental health problems including cavities and periodontal disease. Similarly, the way that your teeth come together when you bite is also important. However, very few people have their jaws perfectly aligned and as a result, they can suffer from a range of problems including uneven wear on the teeth, speech problems, pain in their jaw and ear and even persistent headaches. If your teeth are poorly aligned or do not come together in the perfect bite when you close your mouth, but you are looking for an orthodontic solution that is more discreet than conventional braces, look no further than Invisalign®. Our experienced dental team is delighted to be able to offer the revolutionary Invisalign® treatment program to our patients, delivered here at our offices in Castro Valley, CA. 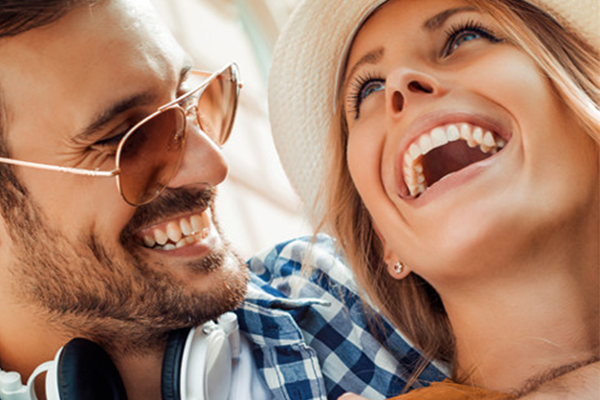 Invisalign® is a highly successful alternative to traditional orthodontic braces. 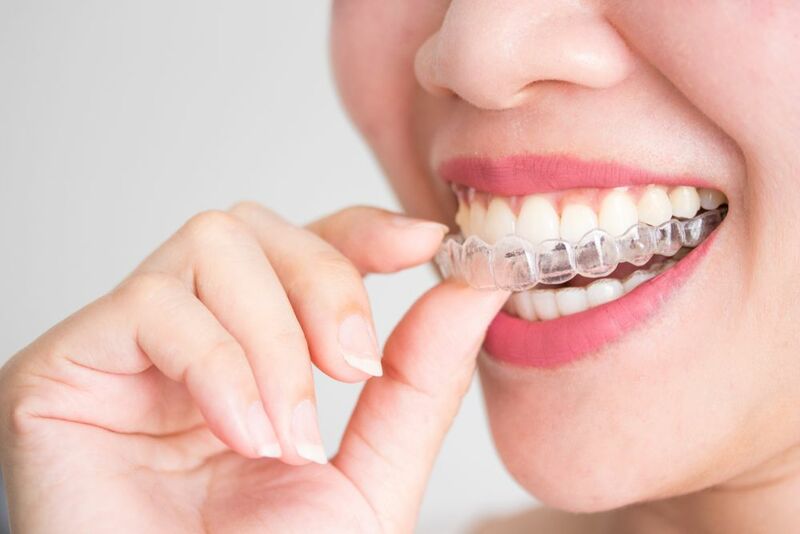 The treatment program involves wearing a sequence of custom-designed, plastic aligners that sit over the top of your teeth and exert gentle pressure on them to guide them into a new, improved position. Each aligner must be worn for at least 22 hours per day, and only removed for you to brush and floss your teeth and clean your aligner, or to eat. It must remain in place while you sleep and during your normal day. The Invisalign® aligners are created using cutting edge mapping technology that takes images of your teeth prior to your treatment and plans exactly how your teeth will need to move in order to be positioned more esthetically. It then uses these movements to decide each stage of the treatment and creates designs for each aligner that will form each movement. It is for this reason that your Invisalign® aligners must be worn in the exact order provided. Before the process of creating your aligners begins, our Invisalign® dentist will be able to show you an image of how you can expect your teeth to look at the end of your treatment program. Greater discretion for patients since Invisalign® aligners are made from transparent plastic and are virtually invisible once in place. This means you will feel less awkward about the appearance of your teeth and can smile, talk, and laugh without showing a mouth full of metal. Comfort. As they are created specifically for your teeth and there are no awkward brackets or wires placed inside your mouth, Invisalign® is a lot more comfortable for patients to wear. Removable. One of the biggest frustrations of brace-wearers is that there are certain foods that they cannot eat because the will damage their device. However, Invisalign® is removed while you eat, meaning you can enjoy whatever foods you like provided you pop your aligner back in as soon as you have finished eating. Fewer appointments. While braces need to be adjusted regularly and this can only be done by a professional, with Invisalign® when it is time to move on to the next stage of treatment you simply start wearing the next aligner. You’ll only need to visit our offices for check-ups to monitor the progress of your treatment. Better oral health. It can be very difficult to clean your teeth properly when you are wearing your braces, and there will invariably some areas that you miss. However, with Invisalign® you can take your aligner out to clean both it and your teeth, helping you to ensure you do a great job on the upkeep of your oral hygiene. Effective. So long as you follow the instructions provided by our Invisalign® specialists, your treatment will be highly effective. Don’t forget to wear your retainers after to prevent your teeth from moving back! If you would like to find out more about Invisalign® or if you would like to arrange a visit to discuss your candidacy for this innovative and discreet orthodontic solution, please contact our office in Castro Valley, CA today at 510-674-0900.